Today’s guest post is from a TS parent in South Jersey who has done the research into medical marijuana now that TS is a qualifying condition. She’s done the legwork and would like to share it with fellow parents! Hello! 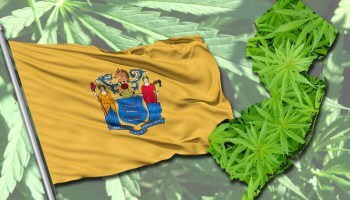 As you may have heard, Tourette Syndrome is now a qualifying condition for medical marijuana in the State of New Jersey. As with any medication, the decision to use it is strictly between your family and your physician. If you feel this is something you would like to look into, you will find the steps below for the process. From start to finish, the process takes about 3 weeks if you have all of your paperwork in order. The doctor might not accept insurance, so be prepared to pay approximately $100. The doctor’s office will start the registration process for you and give you the Attending Physician Statement. This will have your id and reference numbers on it. You will also receive a NJ Universal Fingerprint form from the doctor’s office. Go to: https://nj.ibtfingerprint.com/ to schedule a time to get fingerprinted (you cannot do this until you have the paperwork from the doctor). You will need to pay a fee of about $62.00 when you schedule your appointment. You will need to bring the Attending Physician form, NJ Universal Fingerprint form, and ID with you. The background check will take approximately 2-4 weeks. You will be notified via email that your application has been reviewed. You will be prompted to log in and pay a fee for your ID cards (approximately $100). 12. Call the dispensary and schedule your first visit. Thanks for the post. Did not know that medical marijuana was good for TS.